The skiing area is located at the northslopes of the Zahmer Kaiser in Walchsee-Durchholzen/Tyrol and is known as a popular vacation and ski-trip destination. 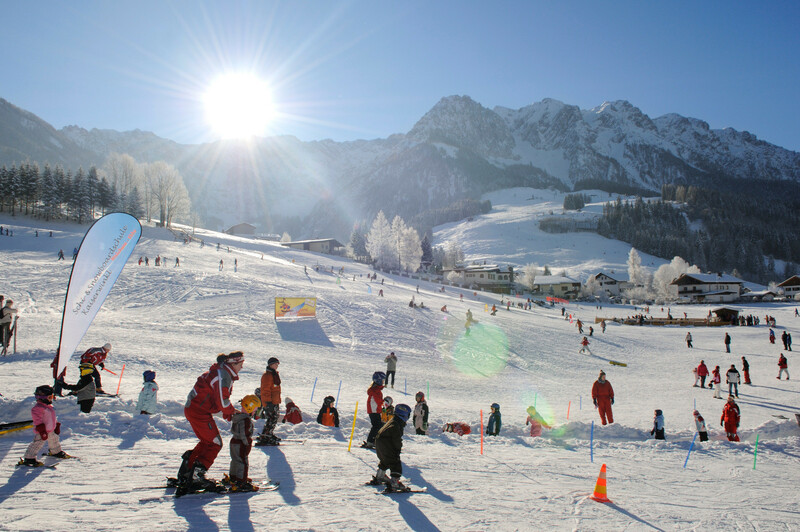 The smooth sloped ski-tracks in front of the heavenly beautiful setting of the Kaisergebirge are downright predestinated for rookies and families with children. Every Tuesday a night ski trip is offered on the illuminated and fully snowed track at the Amberglift. Here the ski-childrenland with qualified supervision with extra trained ski-teachers is located too. Skiing-schools, ski and sleigh-hiring are also on hand.